Sometimes things just work out. 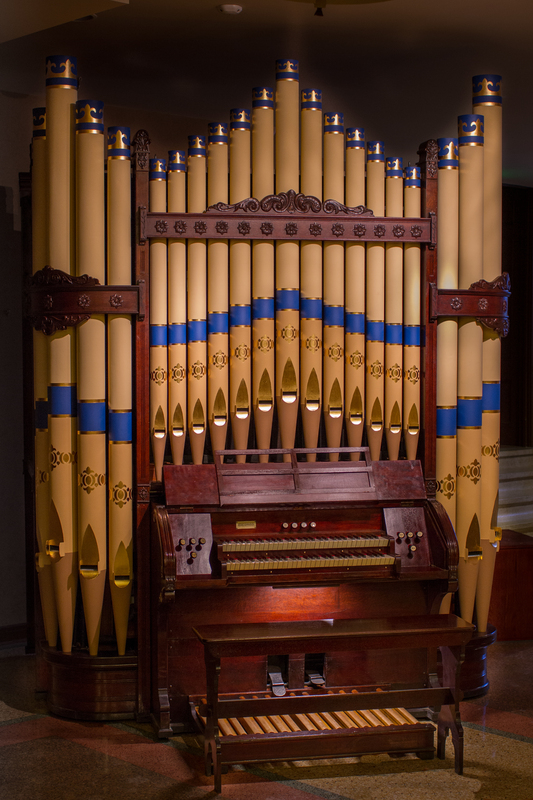 This lovely W. W. Kimball Co. organ was originally installed in the Small Preceptory of the Scottish Rite Cathedral in Chicago, Illinois. Kimball produced so called “boxcar” organs that could be transported intact; this is a rare example of a boxcar organ. Because W. W. Kimball Co. used special mounting wires to affix each and every pipe to supports, the premise was that these instruments could theoretically be delivered intact in two parts, console and pipe enclosure, the two pieces united and it would be fully playable! 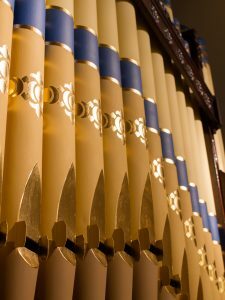 The entire organ sits on original casters that make the instrument movable. 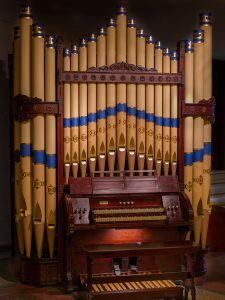 It was rescued into storage by Buzard, assisted by members of the Chicago Midwest Chapter of the Organ Historical Society before the wrecking ball destroyed the building to make way for parking and a high-rise apartment building. The congregation of St. Josaphat uses a lovely lower chapel for daily Masses, as the Basilica itself is an enormous and breathtaking worship space. The elegant lower chapel allows for the intimacy that is helpful for smaller gatherings of worshipers. Buzard was honored to be entrusted with the renovation and relocation of this instrument. After careful restorative work, it now sits in the lower chapel of St. Josaphat Basilica in Milwaukee, Wisconsin. 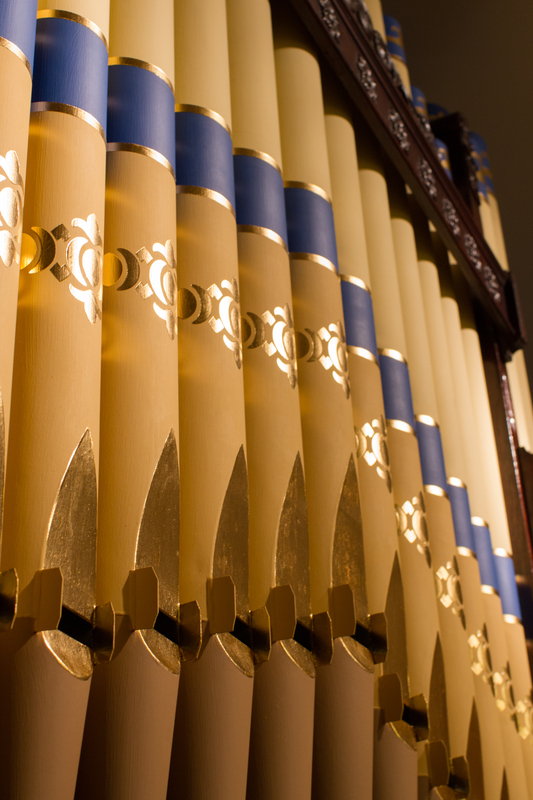 The beautiful pipe stenciling, including 24-carat gold leaf, was done by by our Service Shop Foreman, David Brown.